One of my favorite daily things to do is check the mail. There is so much mystery hiding in that little box each day. Will I receive a favorite magazine? A card from an old friend? Something that I ordered? Unfortunately, most of the time it is a postcard for a new dental practice in the area and bills (boo!). ​Since I am a big believer in putting into the universe what you would like to see and receive back, I am planning to make July all about Happy Mail! Since there are 31 days in July, I am going to focus on mailing 31 pieces of Happy Mail to friends, family and even a few strangers (see below for some “swap” sites that can be used to find some “strangers”). I’ve already bought my stamps for it. Check out these awesome Total Eclipse of the Sun Stamps commemorating the Solar Eclipse that will be taking place this August – the first to be seen from the US Mainland since 1979! When I send Happy Mail I like to make it look fun and interesting straight out of the mailbox. I like to decorate the envelope with washi tape, write their name/address in a fun way or more. Some people make their envelopes a true piece of art. Just check out some of these pieces of Happy Mail for inspiration. ​The two pictures of inspiration below have great tutorials posted to recreate the look - be sure to check them out! ​Look at these stunning envelopes, click here for the details and steps behind them. ​​If you are looking for people to send Happy Mail to outside of your normal circle of friends and family check out these sites. Swap-Bot facilitates group snail mail and internet swaps, plus, it is also a community where swappers can connect, share, and have fun. There are swaps ranging from postcards to packages filled with specific items and themes. If participating in a swap be sure to read all of the details regarding the deadline for the item needs to be mailed, whether it is a domestic or international swap, etc. When you swap you may receive a truly fantastic swap and other times you may be disappointed that your partner didn't put as much thought into the swap as you did (In my experience, I would say I received great swaps from truly caring people about 85% of the time). Also, when swapping online use common sense and be careful with what information you share, etc. Send Something is an on-line database of addresses and interests of people that have signed up with the “no frills” site. There are no swaps, and if you send something out you may not receive something in return. However, the nice things about the format include you can pick and choose who you send mail to, what you send and when you send it. For example, you can look for someone that has a shared interests as you (e.g. chihuahuas, hot air balloons, ATCs, traveler’s notebook, etc.). In turn, if something in your profile catches a fellow member’s eye they may send you a surprise in the mail. Upcoming "Happy Mail" Opportunities at P&P! ​If you like Happy Mail, Palette & Paper is offering a couple of workshops in July that may spark your interest. Kimberly is hosting a “Down by the Sea” Pocket Letter Page (PLP) workshop on Wednesday, July 12 at 6 pm (held during open studio). For only a $5 materials fee you will receive all of the materials to make a PLP to mail to a friend. Not sure what a PLP is? That’s okay, read here or just sign-up and come on the 12th. Kimberly will have several examples of PLPs she has made and received. Martha is leading the Color Your Way Cards workshop on Saturday, July 15 at 10 am. For only $12 you will receive a pack of stamped images on paper of your choosing to color with your preferred coloring medium (Copics, watercolor markers, etc.) that you will then turn into cards. Check out all of the details here for both workshops, sign up and get ready to send some happy mail! Do you send Happy Mail? Participate in swaps? We would love to hear all about it! This evening our studio will be taken over by lots of fun ladies for the Girls Night Out Globe Extravaganza with Beth Kingston. It got me thinking of hosting a crafty girls night out for my friends, and I thought I would share some of the fun ideas I’ve come across to help you host your own event. Hosting your own crafty girls night out is probably a lot easier than you think! Here are some key points to give thought to. Do you have enough room, and more importantly, table space for your friends? You could set up card tables or other folding tables in addition to your dining room table. If your craft night is held on a day that has nice weather you could use your patio table and other tables outside (or keep the event exclusive to your closest friends to make seating easier). If you would prefer to not have it in your home, remember, you can rent out the Palette & Paper Studio. It is climate controlled, has lots of tables and chairs and more for your crafty night (details here)! The main focus of the night will be the crafts and getting together with friends. 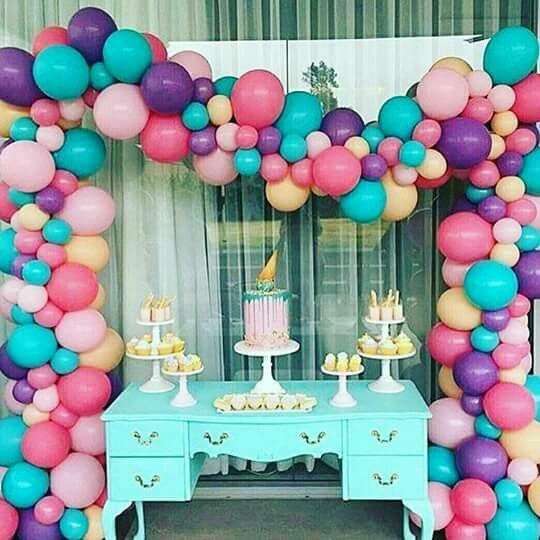 Don’t stress thinking you need the perfect balloon arch or tassel garland (even though they are really cute)! Your friends will be more focused on the crafts and fun at hand. If you do want to decorate, make a little entry table showcasing a completed example of the featured craft project and chalkboard welcome sign. Offer a few beverages and some light snacks that are easy to eat. Keep in mind you don’t want to serve Cheetos or other messy foods because that could lead to an orange smudge on your gorgeous new craft project, and no one wants that! This might be the hardest decision you have to make! There are so many fun ideas for a crafty girls night. Below are some easy fun ideas with links to their sources. Moroccan Candle Holders – Nuvo Crystal Dots and Ranger Enamel Accents would be perfect for decorating the outside of the containers (both available at P&P). Tile Coasters – these can be created in several ways from the super easy way of using decals or pretty paper on the ceramic bath tiles to using alcohol inks and more. Don't forget to edge your tiles with some gorgeous Viva Decor Inka Gold (a metallic beeswax paste that comes in a variety of colors). 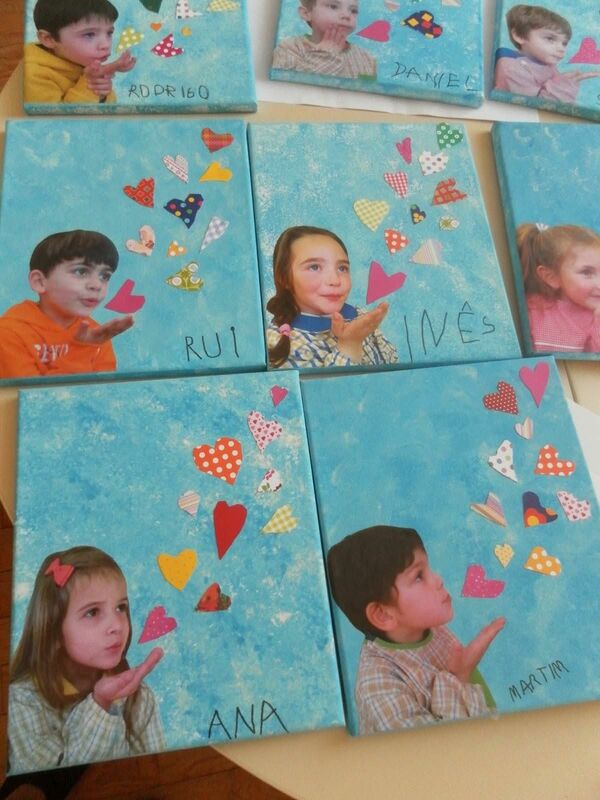 Or make large tiles into trivets! P&P offered a class on this a couple of months ago and the creations by all the attendees were stunning! P&P has in stock many items that can be used on your coasters. Example of a Tile Trivet made in a recent class at Palette & Paper. Magnetic Memo Board – Burner Covers, some pretty paper (I know where you can get that! ), magnets and ribbon make this craft simple and inexpensive! Tote Bag – using paint, stencils and brayer you can create an awesome canvas tote bag. Have you seen the gorgeous stencils P&P has in stock? You will have a hard time deciding which ones to get! Still can’t decide on a project? Or do you have an idea, but not sure of the specifics? Want to hire a leader for your craft night, so you can sit back and enjoy the creativity with your friends? Contact us and we can hook you up with one of P&P’s creative team members to talk to about your craft night. 5. Decide if you want to charge for the craft night. Keep in mind, your friends will love the idea of getting together to craft and won’t mind paying a small fee to cover the cost of supplies. Once you have determined these things, decide on your guest list, pick a date, send out some invites, gather your supplies and HAVE FUN! We are only 10 days away from Mother’s Day. Do you have gifts for the moms, aunts, mother-in-laws, mommies-to-be and more ready to go? If not, no worries . . . We have compiled a little round-up of fun gifts to buy and make for those special ladies in your life. Is the “mom” in your life crafty? Or do they aspire to get crafty? Bring her to Palette & Paper so she can explore her craftiness. You could get her a gift certificate or sign-up her up for one of our classes (she would probably like it if you were there too!). We have a bunch of great things coming up! Give her an early gift and celebrate Mother’s Day with one of our National Scrapbook Day classes featuring Graphic 45 this weekend. Jann Gray is coming back to P&P later this month with bible journaling and other craft classes. Jann is still finalizing details and we will have details posted soon. We are going “global” with Beth Kingston in June. You might recognize Beth from when she was at P&P at the end of 2015 or from her many appearances on HSN. Ken Oliver will be here for three classes in June also, and it is amazing what you can create with his ColorBursts. Click here for the rundown on all his classes. Want to pick out a great crafty gift for your “moms”? Here are some of our current favs! Help her get organized and record memories by setting her up with a Carpe Diem Planner and some amazing Prima Marketing stickers and more (starting at $4). 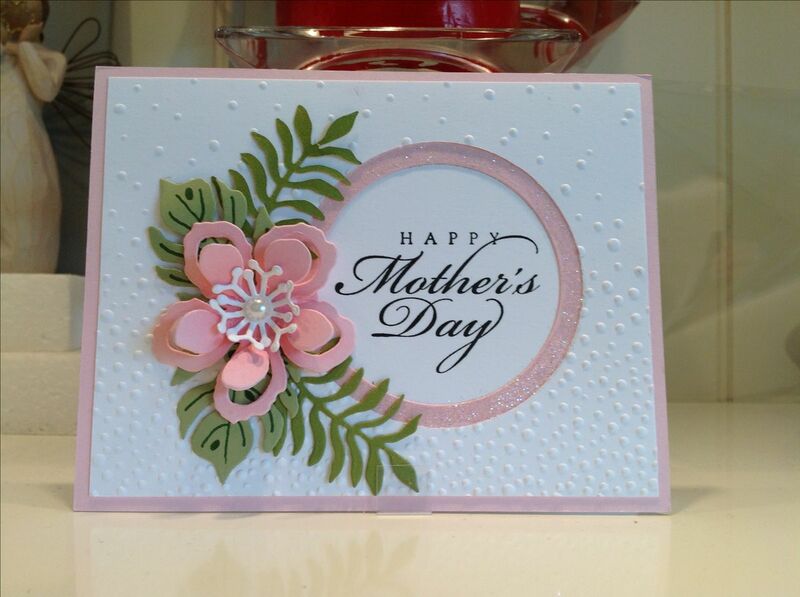 ​Is your “mom” a card maker? Help her expand her craft with some embossing folders and die sets to create some unique and unusual cards. Is your “mom” into mixed media? We have some fun new items she can use in her art work, including these fun oversized “thickboard” oversized tags and new waxes from Finnabair. Even if crafts aren’t your “mom’s” thing you can still share your hobby with her by giving her a handmade card or gift. Below is some inspiration.